President Trump spoke in the Oval Office on Monday. 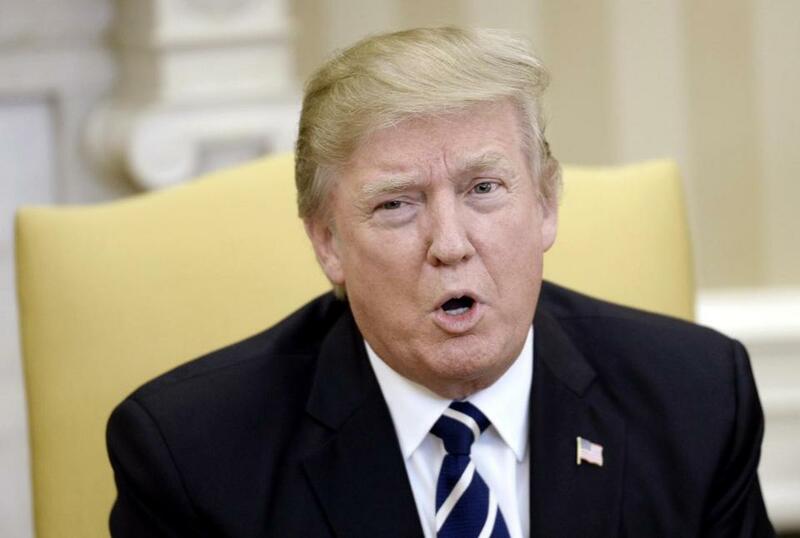 The Cambridge City Council voted Monday night to call upon the US House of Representatives to approve an investigation into whether sufficient grounds exist to impeach President Trump. In a vote Monday, seven city councilors voted in favor of a proposal that asks the House to authorize its Committee on the Judiciary to investigate possible violations Trump may have made in the foreign emoluments clause, domestic emoluments clause, or other constitutional clauses. One councilor voted against the proposal, and one councilor just voted as present. “From the moment he took office, President Trump was in violation of the Foreign Emoluments Clause and the Domestic Emoluments Clause of the United States Constitution,” stated the proposal, which was submitted by community organization Cambridge Area Stronger Together, or CAST. The template for the proposal was written by a national movement called Impeach Trump Now and has been used by such other communities as Berkeley, Calif., and Charlotte, Vt.
“These violations undermine the integrity of the Presidency, corruptly advance the personal wealth of the President, and violate the public trust,” the proposal continued. Johanna Schulman, a Cambridge resident who introduced the template to CAST, said the city has traditionally been at the forefront of progressive policy and has a responsiblity to take action. “With every day that passes and every news alert that we read, we’re very concerned about whether this president really has the best interests of his country at heart,” she said in a telephone interview after the vote. CAST was formed after the presidential election in opposition to Trump and in an effort to support progressive candidates and issues, according to the group’s Facebook page. But the organization does more than just oppose Trump, said Councilor Jan Devereux, one of the proposal’s co-sponsors. The group seeks to promote civic engagement, and encourage Cambridge residents to speak up when they have concerns, she said. “It wasn’t intended to be a referendum on Trump’s policies,” Devereux said in a phone interview after the vote, saying that the decision was non-partisan. “As a public servant, I take seriously when residents in the community and advocates, who have thought through these issues, carefully and deeply come to us and say, ‘We think this is the right time to do this,’ ” she said. The proposal, which was also sponsored by Vice Mayor Marc C. McGovern and Councilor Leland Cheung, will be sent, on behalf of the City Council, to the US representatives who serve Cambridge. Devereux said Cambridge is joining a movement of cities across the country that are willing to speak up and show their concerns about Trump’s potential business conflicts. “All of us have been sort of sitting on our hands, wondering when someone’s going to speak up and say, ‘Hey this is not normal. This is not right. The public has a right to know and hear this publicly discussed,’ ” she said.